To Remember, Honor, & Teach about the service and sacrifices of our veterans, active military, and their families. We Achieved Our Goal for 2017.
in the town of South Windsor during the holiday season. We look forward to achiving the same goal for 2018. "To be killed in war is not the worst that can happen. to be forgotten is the worst." 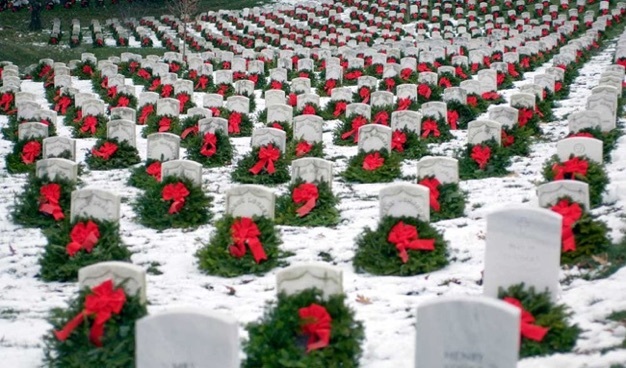 EVERY gravesite at Arlington National Cemetery received wreaths. We accomplished the same in our town of South Windsor.